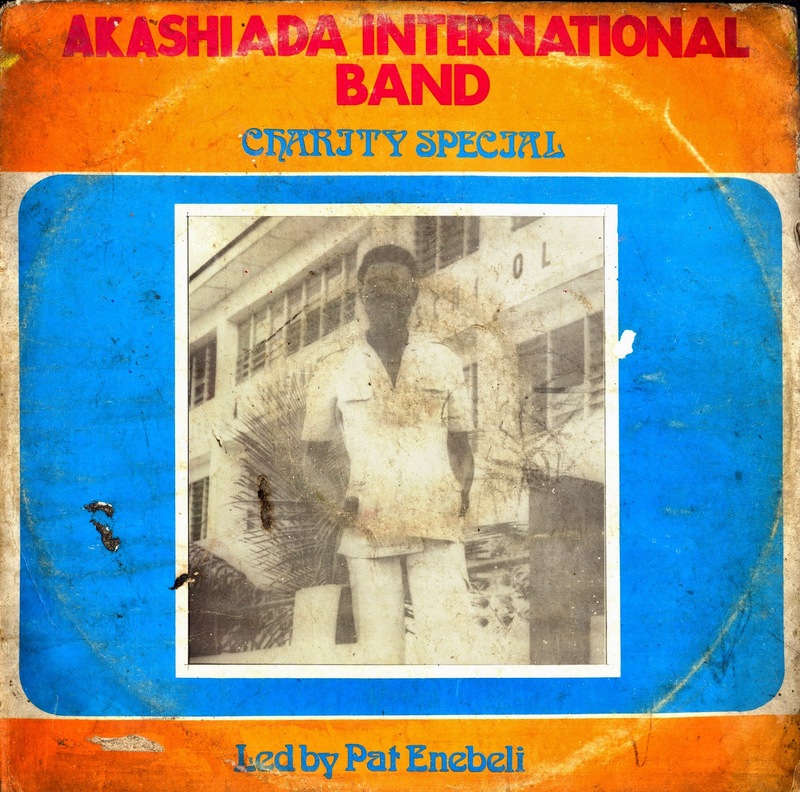 For the next selection on the Highlife Turntable I have selected the track Odindo Kua Enwe by the Akashiada International Band led by Pat Enebeli off a 1982 release entitled Charity Special. I do not know much about the Akashiada International Band but the Umu-Akashiada is a sub group of the Ukwauni people in the Ndokwa land. Akashiada records appears to be a label that was active in the early 80's. Pat Enebeli went on to become the lead singer for one of my favorite Ukwauni bands Obiajulu and his Sound Power of Africa. The Ukwauni song is minimalist in structure and focuses on the thready guitar rhythms supporting the lilting vocals of Pat Enebeli. I really like the way the guitarist bends the notes and the chorus hovers in the background occasionally joining the lead vocalist. I think the simplicity of the song is what I find most attractive. I have been listening to it a lot lately and thought I'd share it to see what you think. Thanks for sharing this musical, fabulous, greetings from Bogota gem - Colombia.